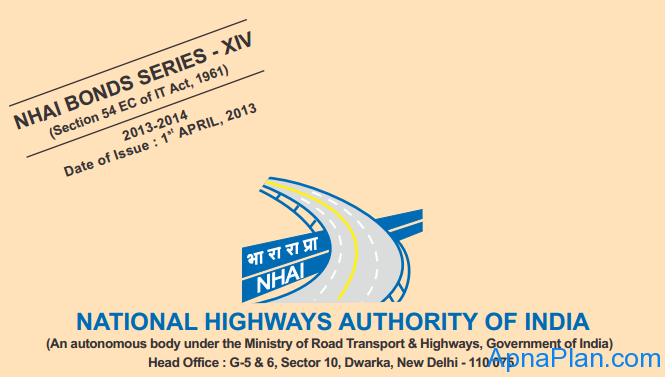 In case you are looking to save your long term capital gains, National Highways Authority of India (NHAI) has come up with its fresh issue of Capital Gains Bonds (Series XIV) of Rs 4,000 crores. NHAI Capital Gains Bonds – Who can invest? Any individual, Hindu Undivided Family (HUF), or non-resident Indians (NRIs) can invest in these NHAI capital gains bonds. The amount invested should be the long term capital gains made by selling residential property held for more than three years or more. NHAI Capital Gains Bonds – How much Capital Gains can you Save? There is a misconception that the interest earned on capital gains bond is tax free as there is no TDS (Tax Deduction at source) deduction by NHAI. But unfortunately the truth is the interest earned from capital gains bond is added to your income and taxed at marginal rate of your income tax. NHAI Capital Gains Bonds – How to buy? NHAI Capital Gains Bonds – Should you invest? As far as the investment in capital gains bonds like NHAI is concerned, the interest offered is just 6% and that too taxable. So at times it might make sense to pay long term capital gain tax and invest the rest of amount in higher return investments.